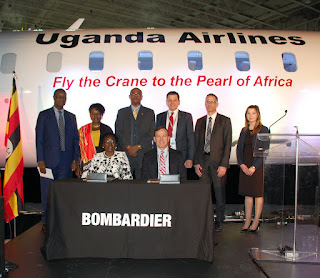 Tuesday, April 16th was a special day for Bombardier Commercial Aircraft and Uganda National Airlines Company as the Canadian manufacturer handed over two bright shiny new CRJ900 aircraft to the fledgeling airline. 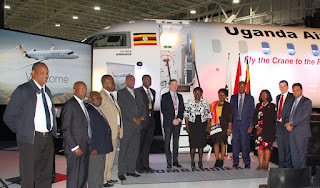 This was the first two aircraft of four CRJ900 that were ordered during the Farnborough International Airshow in the UK during the summer of 2018. 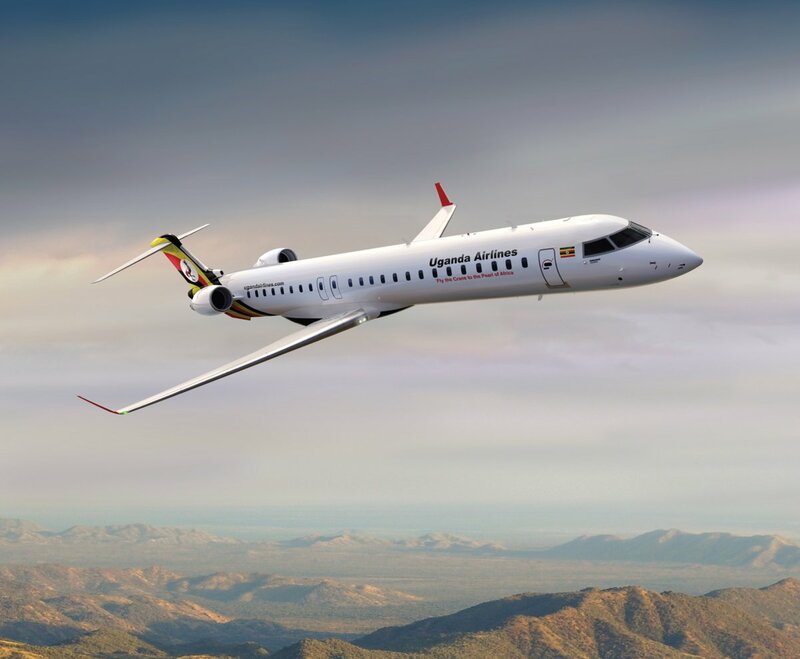 The new airline has selected Bombardier's CRJ900 regional jets fitted with the ATMOSPHÈRE cabin for its upcoming debut, making it the first operator in Africa with this enhanced cabin experience. The aircraft will be deployed on routes to Goma, Mogadishu, Kigali, Harare, Addis Ababa, Nairobi, Lusaka, Khartoum and Kinshasa. 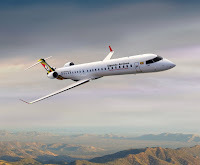 There are also plans to open routes to Johannesburg and Accra. Watch a video of the delivery ceremony here. “We congratulate Uganda Airlines for taking delivery of their very first CRJ900 jetliner fitted with the ATMOSPHÈRE cabin in a dual-class configuration with 76 seats, including 12 first class seats. 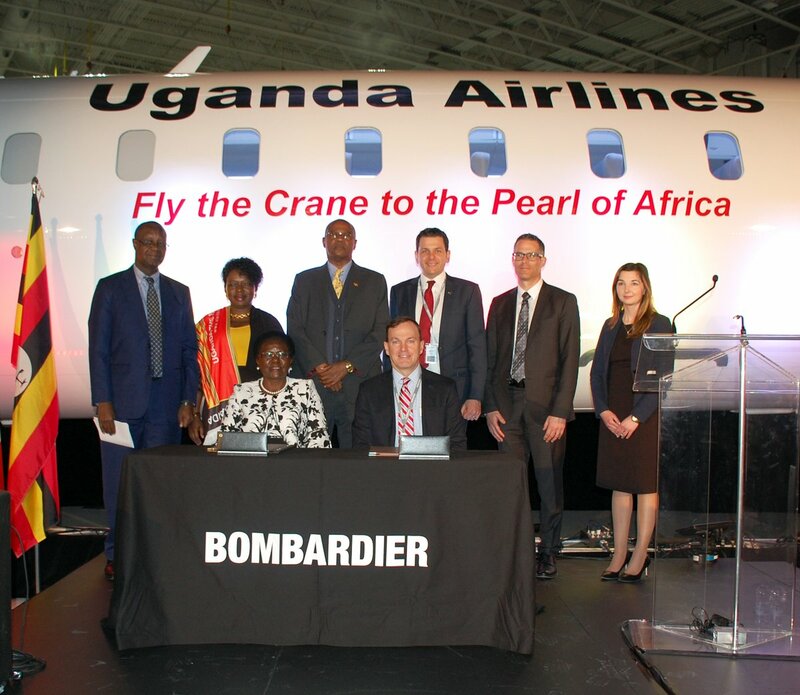 The CRJ Series is recognised for its superior economics and efficiency and I am confident that it will be the stepping stone for the development of Uganda’s regional air travel”, said Fred Cromer, President, Bombardier Commercial Aircraft. The delivery flight will be a long one, with multiple stops along the way. 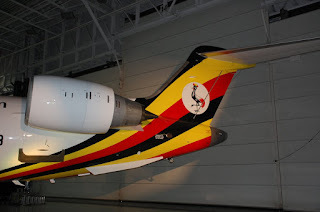 It is scheduled to depart on the 19th from Montreal and then go to Goose Bay for refuelling and then on to Iceland before stopping at Maastricht and Aswan before it flies onto Entebbe where it is scheduled to arrive on 23rd April at around 1500. 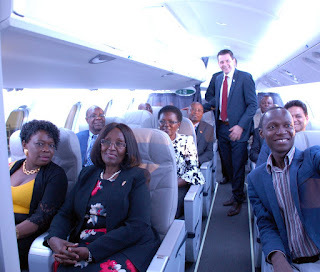 The airline also has two Airbus A330's on order from the European planemaker with which it plans to open up long-haul routes.